Rarely does an encounter with the past forever change a musician’s relationship with his instrument. But when Grammy-nominated cellist Matt Haimovitz joined with pianist-NPR host Christopher O’Riley to perform and record Beethoven’s Sonatas and Variations for Piano and Cello on period instruments, he hardly expected that their move to authenticity would open an entirely new range of musical possibilities.When Matt, as he prefers to be called, outfitted his precious 1710 Goffriller cello with the same authentic ox-gut strings that were used in Beethoven’s day, and played them with a bow from Beethoven’s era, he discovered the changes were like night and day. That’s quite a switch for someone who wrote his graduate thesis on Beethoven at Harvard 25 years ago, and who has struggled ever since with the fact that, in Beethoven, a cello outfitted with modern metal strings does not balance well with a modern piano. 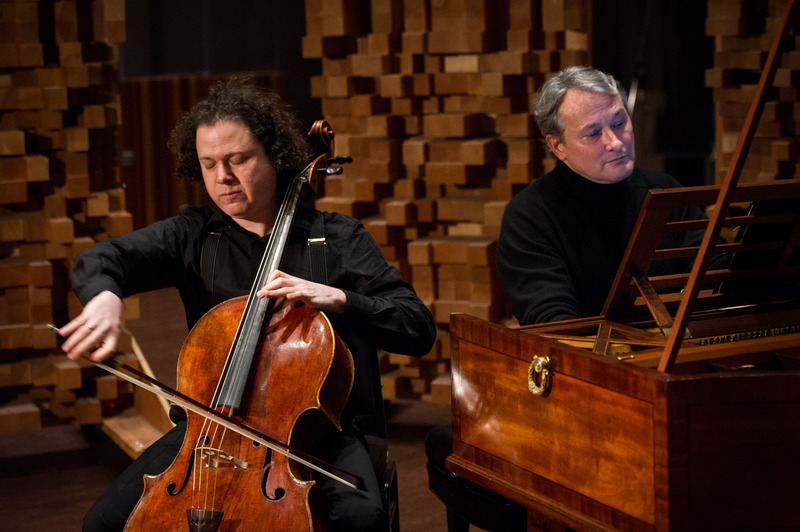 When the duo arrives at the San Francisco Conservatory of Music on Tuesday night, Chris will play the same 1823 Broadwood fortepiano he used for the recording. On loan from the Beethoven Center at San Jose State, it’s very similar to the Broadwood in Beethoven’s possession. Tuning both fortepiano and cello a microtone lower than “modern pitch” will further replicate the sound that Beethoven heard in his head. Since Chris no longer has to hold back, and Matt no longer needs to struggle to be heard over a 9-foot concert grand, Beethoven’s music should flow in a manner seldom heard with modern instruments. Where: S.F. Conservatory of Music, 50 Oak St., S.F.